Atmospheric art-rock, assisted by Japan legends. You see the names Richard Barbieri and Steve Jansen on a cast list and you know high quality control is guaranteed. The former Japan men bring their consummate sense of chilly ambience and paradoxical warmth to this art-rock gem, allowing the London-born Grice to make dramatic vocal entrances in the manner of heyday David Sylvian. It’s not Japan-lite though: if anything, Alexandrine bears more echoes of that band’s short-lived but sublime successor, Rain Tree Crow. 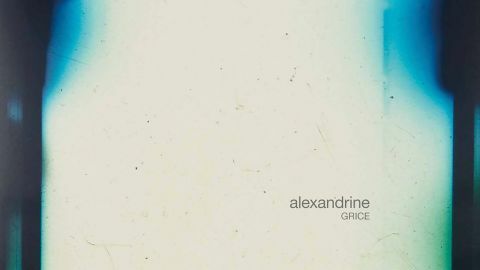 Grice debuted two years ago with Propeller, and has the confidence to unhurriedly let moods build and textures tantalise. There’s much that’s filmic and Zen here: the songs politely decline to shatter the glacial ceiling. When personality is required, his voice has it. As co-producer, Barbieri knows how to make electronica feel human, and Jansen (who mixed) is so much more than a percussionist. There are also guest spots, including BJ Cole’s pedal-steel, No-Man violinist Steve Bingham and drummer O5Ric. Sculpted with melancholy trumpets, taste and sensitivity, Alexandrine exits on an instrumental high, with Flaw 3 (Fractal) surging to a transcendent peak recalling Yes’ Soon. Grice sounds like grace.